Bryson has been delivering recycling services for over 20 years now and has seen the market conditions fluctuate many times during this period. What is clear from the current state of the market is that quality is key. Members of the Resource Association, an advocacy body for reprocessing and recycling industries, recently visited Northern Ireland. Their key aims are to put quality at the heart of the recycling industry and to highlight its role in the local economy; a message that echoes our stance here at Bryson. During their trip, the Resource Association members viewed a new service provided by Bryson in the Newtownabbey area that is delivering increased levels of recycling whilst maintaining material quality. Our collection model ensures that material integrity is not compromised, with key waste streams such as paper, card, plastics and glass collected separately. We have developed two new innovative products, the Kerb Sort vehicle and the Wheelie Box, in partnership with Romaquip and Straight Plc respectively. We are using these vehicles and containers to deliver services in Northern Ireland, but they are also being used elsewhere in the UK. There are over 100 Kerb Sort vehicles now in operation, and Wheelie Boxes are being used in the councils of Castlereagh and Newtownabbey, as well as Conwy, Anglesey, East Ayrshire and Powys. By collecting high quality materials we can close the loop on recycling at a local level. Many materials are recycled here in Northern Ireland; our paper goes to Huhtamaki in Lurgan where it’s recycled into moulded fibre products and egg boxes; our plastics go to the Cherry Plastics Group, also in Lurgan, who manufacture pipes and our glass goes to Encirc in Fermanagh where it is used to make new glass bottles. Recycling locally within Northern Ireland is worth millions of pounds to the economy and currently helps support over 1000 local jobs, figures that would grow significantly if these industries were properly supported. The whole of the recycling industry is reverberating from the pressures caused by low oil prices, cuts in public spending and the untimely closure of Aylesford paper mill. As a result, the value of recyclables has crashed and most in the supply chain has had to readjust to survive. However, high quality materials will always sell. Our collection model has been adopted by the Welsh Government as their “Blueprint” and is leading the way in the UK, achieving high recycling rates whilst maintaining material quality. We are inviting local authorities from across Northern Ireland to come and look at our model, talk openly about the future of the industry and how this collection service can fit within the structure of their operations. 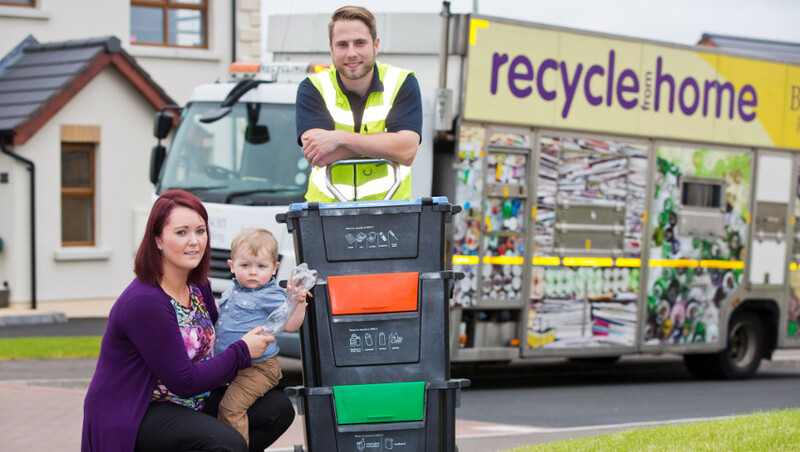 Bryson Recycling is keen to work with the DoE and the new local authorities to make this Northern Ireland’s own recycling “blueprint”. This is the perfect opportunity for Councils to review their own waste management operations, assess what the industry has to offer and ask the question, “Which approach will give us the best results for Northern Ireland Plc”?